Plecto is looking for a mobile developer with an iOS focus: a person with experience delivering complete, functioning, responsive and user-friendly apps. You should be able to build the app from scratch, deploy it and maintain it preferably using React Native. 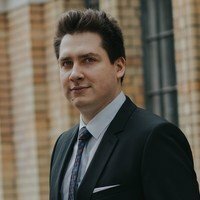 We are a Danish startup with a recently opened Warsaw branch. We love open source, our developers maintain several projects. We strive to maintain an open, positive culture and emphasize good communication. We are growing, and we want you to grow with us – we will do our best to facilitate and develop your technical and leadership abilities.